Can you all stand another rhubarb post?? Last one, I promise (mainly because I’m all out of rhubarb, hehe). Rhubarb Berry Compote is one of my favourite ways to use rhubarb because you can do so many things with it, including freezing it. I put it on my Cheerios in the morning, mix it with yogurt or cottage cheese for an afternoon snack, add it to smoothies, use it as a topping for ice cream and, I’ve even been known to use it on a peanut butter sandwich instead of jam. It’s dead simple to make and you can make it with just rhubarb or add any other kind of fruit you think would work well. I like to add strawberries and blueberries, which also gives it a gorgeous colour. I think it would work well with plums too but they’re not in season together so if you freeze your rhubarb, that might be an interesting way to try it later in the summer. Depending on the fruit you add, you may need to adjust your cooking times. Allow to simmer for about 10 minutes, until rhubarb is soft and starting to become translucent. Add berries and continue cooking until mixture starts to boil again. I mentioned a while back that I wanted to get back to photos that are more “me” and Image 1 and 2 are definitely more along those lines: very bright colours, often primary shades with lots of contrast. These photos were also taken a few weeks ago when I was still struggling with my new macro lens. I think now I could have improved on them 20 fold. Wow, I love these pictures, they’re so beautiful. I love vivid, colourful pictures too, Melissa, and from what I know of you, these are very ‘you’! 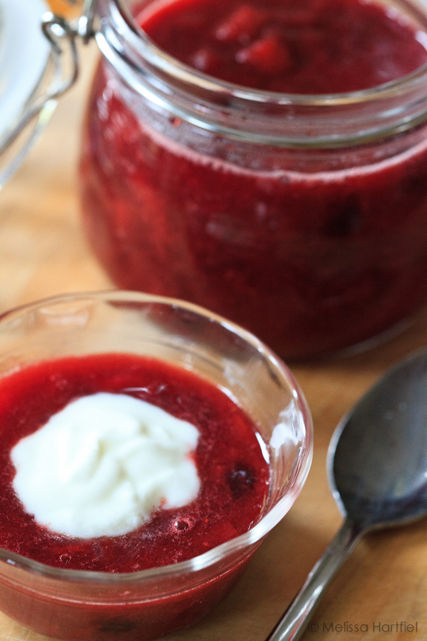 And I am definitely going to try out this compote. Quick question, do you think I could can/ bottle this compote instead of freezing? We’ve just planted rhubarb, so its not going to be for this year, but I did get some gorgeous strawberries. I’ve frozen them, and I can get rhubarb from the farmer’s market. hmmm… i’m no canning expert. It scares me. 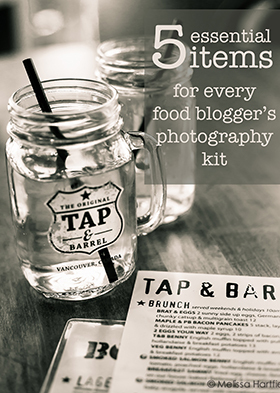 Always afraid I’m going to create botulism in a jar! But, it’s really no different than jam – just runnier, so I don’t see why it wouldn’t work. It’s probably worth trying a small test batch. 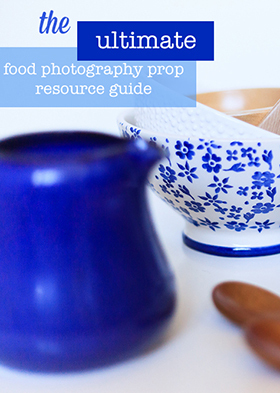 I came across your blog while searching for photography tips and I have to say I love it.. 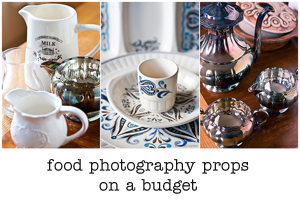 Your pictures are amazing..I really enjoyed reading your post on the food photography rut..
Hmm. 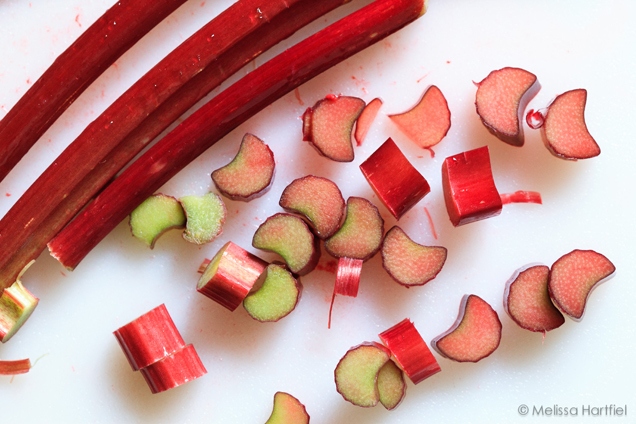 I am not fan of rhubarb at all but have some in my house for a Dorie recipe this weekend. I think I might save a little to make this because I can definitely get behind something with blueberries in it too. Maybe this is the recipe to make me change my mind. 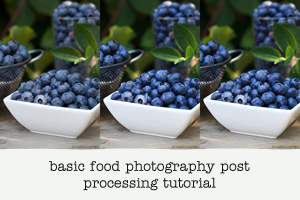 you can easily adjust the content of the rhubarb down and up the amount of berries if you want. 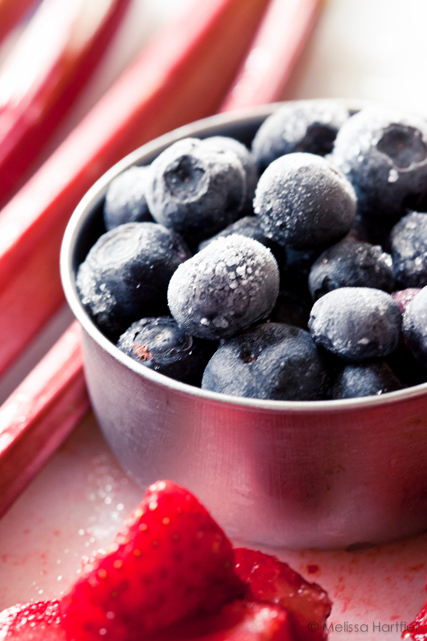 You might want to adjust the sugar ratio because more berries will make it sweeter. Pretty much followed your recipe for compote. Skipped cinnamon but added some chrystalized ginger, chopped it pretty fine. Added to the water and used less sugar. Oh my! This has become my go-to solution to my rhubarb and strawberry crop, the addition of cinnamon is genius! Lovely, thank you!